Next Saturday 21st December at 3pm. 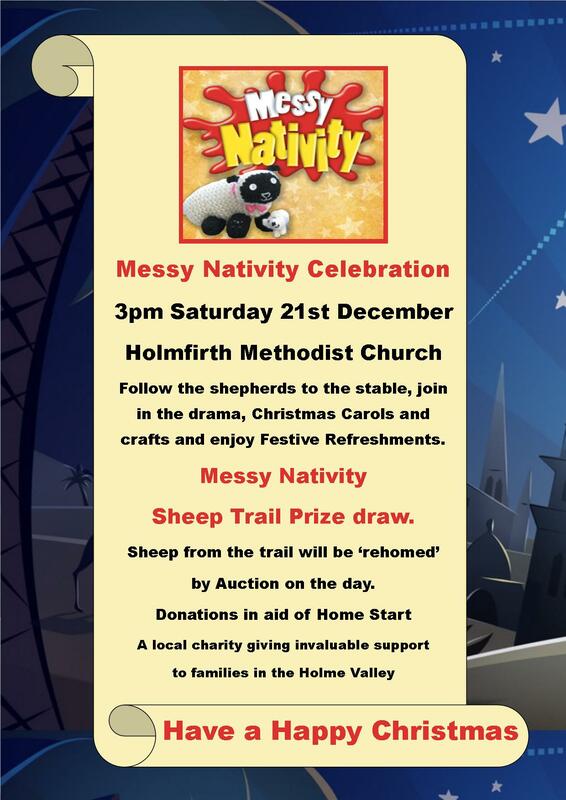 Come and celebrate with Sam the Shepherd, as he finds his sheep and travels to Bethleham. 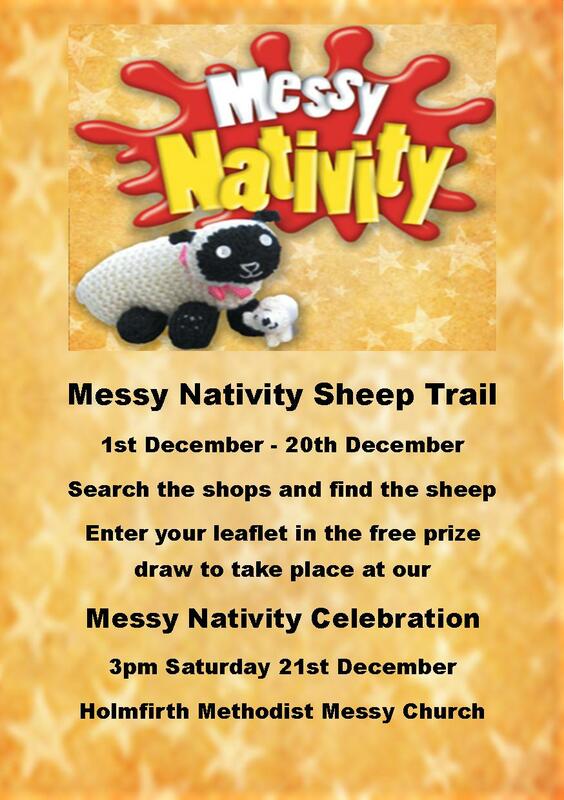 We'll begin with refreshments, join in the Christmas story and then the prize winning sheep trail leaflet will be drawn. You'll also have the opportunity to "rehome" a sheep at the auction! This is for everyone, so bring your friends and family. 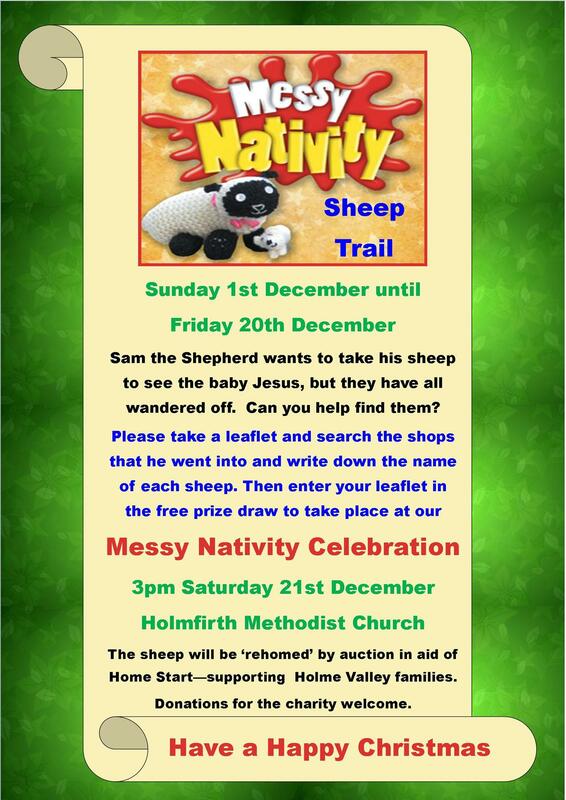 If you want to take part in the sheep trail then print the attached leaflet below and look out for the sheep as you wander around Holmfirth.